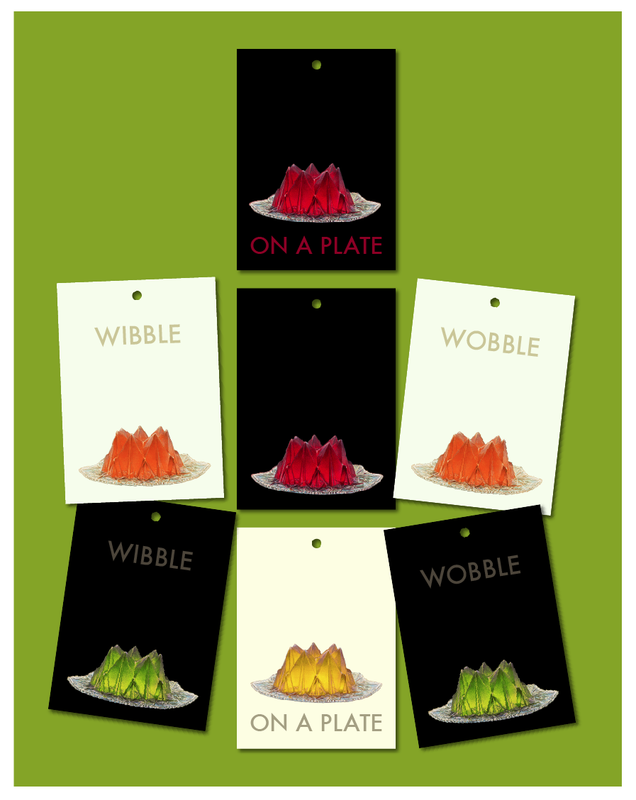 Jelly on a plate, Jelly on a plate…..
We hope these labels are just the ticket for an upcoming event. They’re destined for a party for big kids – very big old kids who are long past the stale crisps, carrot sticks and curled sandwich stage. We were looking to create something sophisticated yet fun for a celebration with a decadent 30’s theme. Using an old jelly image we gave it a new spin to create these tags and to make name cards. 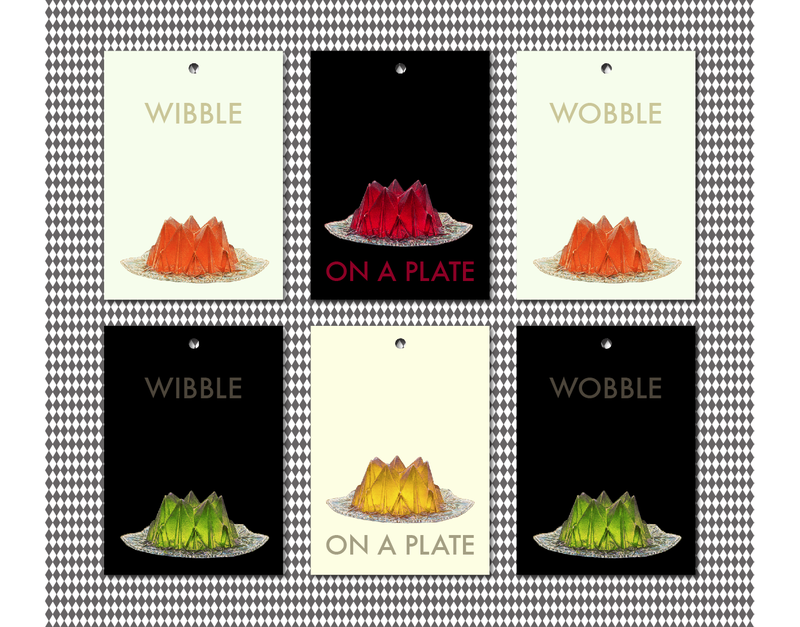 …..Wibble wobble, Wibble wobble, Jelly on a plate.